Three men will be recognized for their work. SAN DIEGO (KGTV) – The San Diego African American Museum of Fine Art at the San Diego History Center is celebrating Black History Month by recognizing those who have made significant contributions to African-American culture. The second annual “ Keepers of the Culture ” event will honor three people for their contributions that have resulted in retaining and expanding African-American culture. 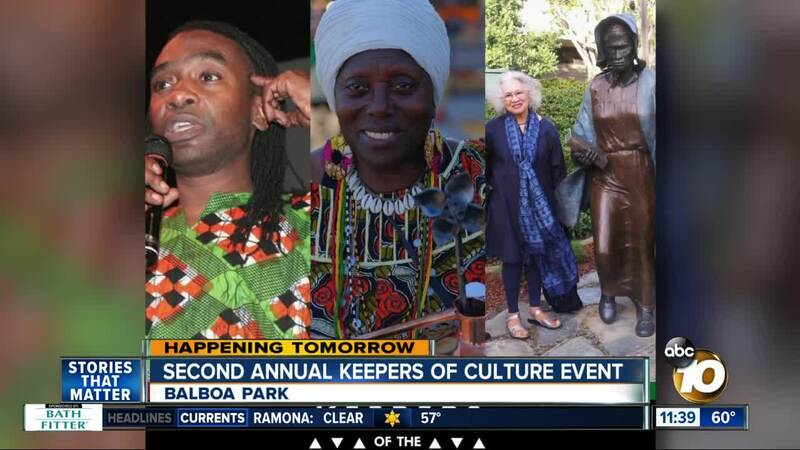 The three honorees – Dajahan Blevins, founder/director of Kuumbafest; Manuelita Brown, artist/sculptor; and Makeda “Dread” Cheatom, founder/director of the World Beat Center in Balboa Park – will host a panel on Saturday, Feb. 9, in which they will “discuss the importance of preserving one’s culture,” museum officials said. The event is from 5:30 p.m.-7:30 p.m. at the San Diego History Center (1649 El Prado, Suite 3). While the event is free to the public, an RSVP is required to reserve a space .